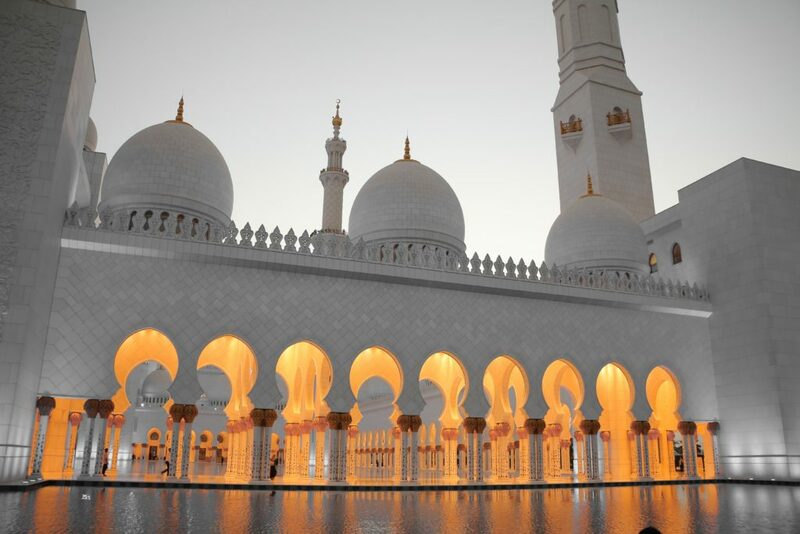 Ramadan is the ninth month of the Islamic calendar and is observed by Muslims worldwide. During Ramadan, Muslims fast as a way to commemorate the first revelation of the Quran to the Prophet Muhammad. As one of the five pillars of Islam, fasting during Ramadan is accompanied with increased spiritual reflection, worship and acts of charity. It’s also useful to elaborate on the concept of zakat. Zakat is similar to the concept of tithing for Christians and refers to compulsory charitable donations. Zakat requires Muslims to pay 2.5% from their qualifying wealth to ‘the poor and needy’ (after they pass a specific threshold). Many Muslims choose to pay their Zakat during the month of Ramadan because it is believed that rewards for good deeds are multiplied during Ramadan. The Muslim Charities Forum (MCF) estimates that each year in Britain during Ramadan, Muslims give an estimated £100million to charities. Islamic Relief UK alone raised £11million last year. 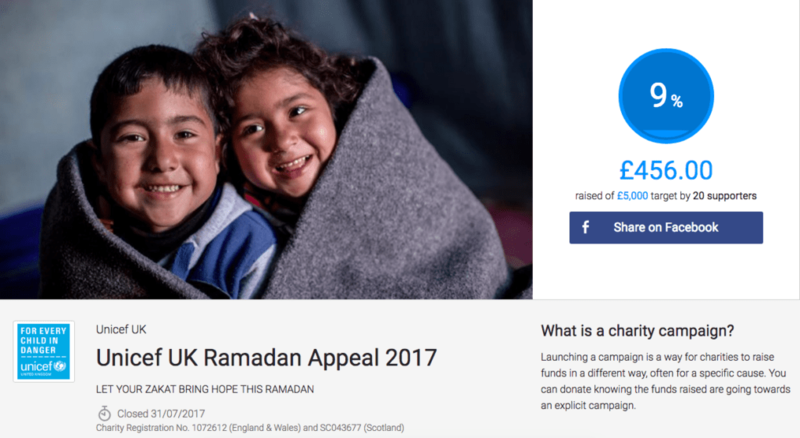 According to the online fundraising platform, JustGiving, during Ramadan 2017, donations to Islamic charities rose by a massive 487% compared to the previous month. In order to raise the most amount of funds for a good cause during Ramadan, make sure you create a dedicated Ramadan donation page. 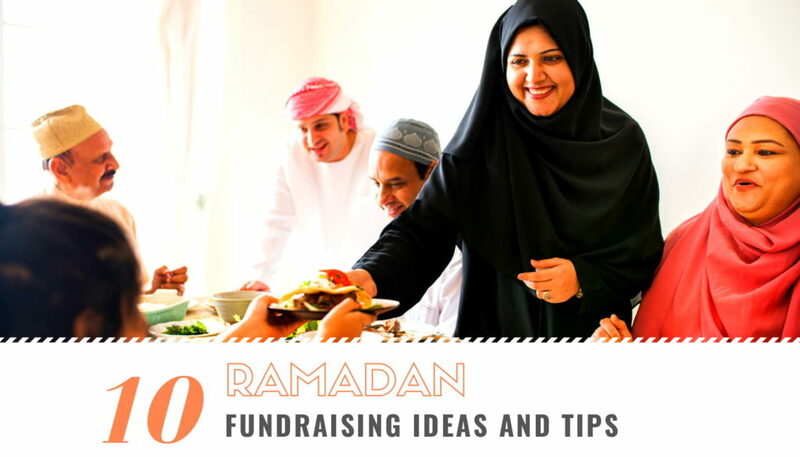 Having a landing page dedicated specifically to your Ramadan fundraising campaign will increase the chances of you reaching your fundraising goals. However good your fundraising campaign and your grassroots efforts, you won’t achieve what you set out to do without a good donation page. When your supporters land on your site, your donation page should convince them that they should give to your nonprofit this Ramadan. Your donation page should be simple, compelling, and branded. Have a clear call to action to donate this Ramadan. Have sharing links set up so that anyone who wishes to do so can easily share the page with their friends and family on their social media profiles. Here are 20 donation page best practices that we’ve compiled for nonprofits. Zakat is a duty of every Muslim, that is if their personal wealth is above nisab or the threshold/cut-off amount. It can be very tricky to calculate the nisab and the zakat amount. To increase the number of donations you receive this Ramadan, make it easy for your donors to donate by either embedding or linking a zakat calculator. To really go the extra mile, you can link specific program outcomes to different giving levels. Note: Your online Ramadan donation is likely to be seen by people who are not looking to make a Zakat donation, they just want to donate generally. Make these potential supporters feel like they can also easily make a non-Zakat donation in response to an appeal. During Ramadan, many are keen to volunteer their time – especially since it helps pass the hours until sunset (when Muslims around the world break their fasting). Don’t underestimate people giving their time. It’s not only the monetary donations that can have an impact. To really get the most out of it, make sure your volunteering event is relevant to your cause. For example, if your nonprofit is an animal shelter, you could organize an animal care day where volunteers help feed, wash, groom, and play with the animals. Recent studies estimate that about a hundred million people volunteer each year with an annual value in the range of $150 billion. Volunteers can help your nonprofit save money, provide better support to beneficiaries, increase contact with the greater community, and make available better expertise. Volunteers, since they’re so engaged with your nonprofit, can easily become donors in the future. Your volunteers will also help spread the word about your organization. This can bring in more donations, supporters, and employees in. Finally, you’ll also strengthen your organization’s image in your community and create awareness about your mission. Iftar is one of the religious observances of Ramadan and is often done as a community, with people gathering to break their fast together. Iftar is taken just after the call to prayer Maghrib, which is around sunset. Being such a community practice/tradition, iftars are perfect for fundraising. Organize a community iftar at a venue of your choice. Depending on the size of your organization, choose either something small and local or go big and festive. Prepare a tasty menu, offering options for all dietary choices and requirements. Invite your donors, supporters, partners, volunteers, and staff to break the fast together or simply celebrate the spirit of Ramadan. There are many ways in which you could raise additional funds during your iftar event. In addition to charging for entry, you could set up collection points throughout the venue where donors could make additional donations in cash or using a credit card. You could even include Islamic lectures as part of your event to attract more participants. If you want to take it up a notch, you can also look for sponsors. During Ramadan, Muslims abstain from eating any food, drinking any liquids, smoking cigarettes, and engaging in any sexual activity, from dawn to sunset. Muslims are also supposed to try to curb negative thoughts and emotions like jealousy and anger, and even lesser things like swearing, complaining, and gossiping, during the month. This is why Ramadan is a great time to launch a “Give Something Up” campaign. 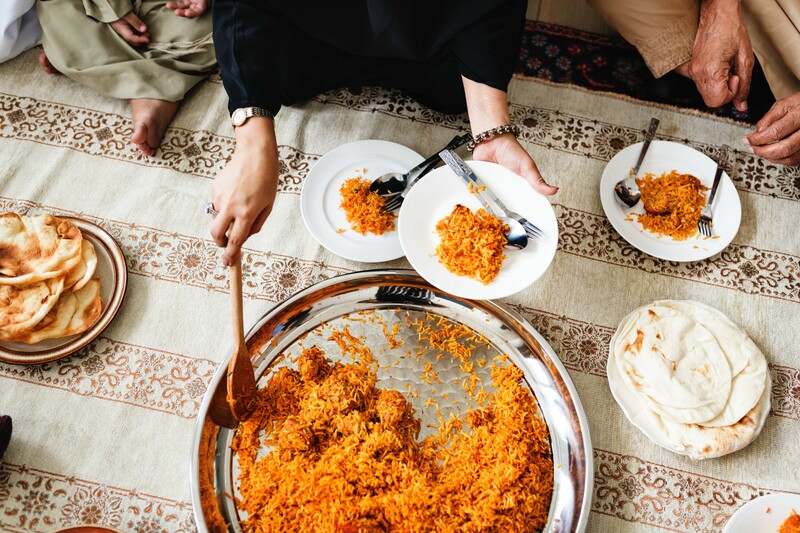 You could ask your donors to give up takeaways, coffee, driving, chocolate, or shopping during Ramadan and donate that money to your nonprofit. Not only will donors get a chance to kick a bad habit, but they will feel great for supporting a good cause. Win-win! Peer-to-peer fundraising is a great way to get new donors and reach new networks of people. Not only are your supporters reaching out to people you might not otherwise have reached, but their campaigns have social proof. Since their friends and family know your supporters, they are more likely to donate to them than directly to your nonprofit. For example, Ms. Safra Khan fundraised on behalf of charity:water in 2017. Her campaign raised $5,785 which enabled 192 people in Mali to get access to clean water. Here is another example of a peer-to-peer fundraising campaign which raised £9,706.24 from 316 donors. You can get really creative with peer-to-peer fundraising. Here’s an example of a nonprofit (IKCA) launching a ‘Grow a Beard’ campaign. They encouraged men to grow, groom and wear their beard and mustache combo with pride for a month. 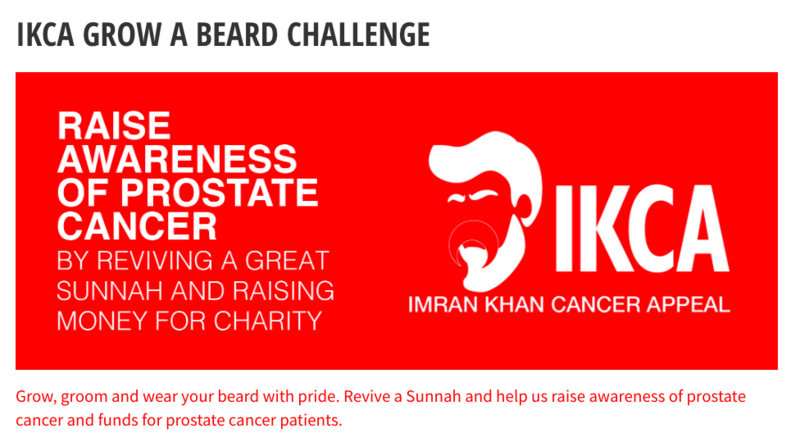 The campaign aimed to raise funds to save the lives of prostate cancer patients in Pakistan. Look for corporate, non-corporate or even government sponsors who will match the donations that your donors make. Here is an example of such a campaign. On the 26 June 2014 at the start of Ramadan, Islamic Relief announced that every donation to Islamic Relief UK before 3 August would be doubled with match-funding from the UK Government, up to a maximum of £5 million. Employers also often offer their employees the matching-gifts incentive to encourage charitable giving. Sometimes, they even extend their matching program to include donations made by an employee’s spouse or by retired employees. Donorbox has partnered with Double the Donation, the leading corporate giving data company, to give your donors the best employer matching experience. By encouraging and simplifying the corporate matching process for donors, this integration will help you grow your revenue. Matching donations programs can double, triple, or even quadruple the number of donations your nonprofit receives. This means you can double, triple, or quadruple the positive impact of your nonprofit organization. This is why matching donations is a very worthwhile strategy to try for your nonprofit. As proven by the campaign above (by Islamic Relief UK), video can be an incredibly powerful tool for fundraising. 82% of internet users watching videos online (Nielsen) and, on average, video results in an engagement rate 4-7x higher than static text and graphics (DoubleClick). A recent Forrester study showing that video increases your chance of a front-page Google result by 53x. These are only some of the reasons why your nonprofit should invest in a fundraising strategy that utilizes video. However, to see the impact of video, use it as an ongoing means of communications, not a one-off project. Here’s an example of a powerful and effective Ramadan fundraising video by Islamic Relief UK. The video includes compelling footage and moving stories of real individuals suffering in the Syrian conflict. It makes a ‘far away’ event real. A combination of images and sounds that a medium like video provides is very powerful in evoking emotions and compelling to action. Create a video that will show your donors who they’ll be helping and what their money will be going towards. If you have the resources, hire a professional videographer to create one for your nonprofit. If you create a good video and then distribute it via an effective social media strategy, the return on investment will be high. Runs or walks are not only healthy for your participants but are also a very visible way of publicizing your charitable cause to the wider community in addition to raising money. You can either encourage your participants to do the runs themselves on a route they themselves select (peer-to-peer fundraising). Here’s an example of a fundraiser like that. Arif Kazi ran the Hotlanta Half-Marathon (13.1 mi) in Atlanta on June 11th, while fasting. He encouraged others to support his cause by donating $1 per mile, for 13.1 miles. He partnered with a nonprofit organization, Share Atlanta, and 100% of the funds went towards distributing food to the hungry. Otherwise, you can organize an event. Common route distances for charity events are 5k, 10k, Half Marathon and Marathon. Considering many Muslims fast during Ramadan, an easier distance and route (like 5k on a flat terrain) might be the most appropriate. Organize volunteer committees to handle promoting the race, soliciting donations, setting up the course and welcoming runners. To raise money, charge runners for participation, but also look for sponsors. Ask businesses to donate money or supplies for the race. In exchange for their support, offer to put their logos on promotional materials. For example, businesses could sponsor aid station tables, cups for water, t-shirts, refreshments and offer gift bag items. Contribution request letters are usually used in political fundraising but can be an exceptionally effective tactic for Ramadan fundraising. Potential major donors should not be forgotten during Ramadan fundraising. To tap into the pool of major donors, make sure to prospect well and inform yourself before reaching out. Make your contribution request letters personal and meaningful and try to have them handwritten, if possible. Handwritten letters can have a big impact in showing the potential donor that you appreciate them. They also show that you invested time and effort to reach out to them. In cases when it’s not realistic to hand write every single letter, reproduce the handwritten letter and then distribute it. You can also send out letters to businesses and corporations, not only to individuals. These letters are generally referred to as ‘sponsorship request letters’. In addition to this, you can also attempt phone solicitation. Although phone calls and letters might seem old-fashioned to some, there are still some donors that prefer this type of solicitation, and whom you might not otherwise reach using digital marketing. If you are looking for more fundraising ideas, we have compiled 100+ fundraising ideas for everyone. Ramadan is a very special time of the year for Muslims around the world. In addition to fulfilling their religious duty by fasting, Muslims are looking to do good in their communities. This presents an invaluable opportunity for raising more funds, championing your mission and increasing your positive impact. It is also, however, important to remember to respect this sacred time for Muslims. Triple-check your messaging during Ramadan. Try not to ‘guilt-trip’ your donors or to make Ramadan only about the financial contributions. It can be easy to slip up and make people feel like they’re not observing Ramadan ‘well’ because they’re not donating. We hope our ideas and insights will help you make a positive impact on the world by raising more funds for your programs and initiatives.